Do you operate your business in space you rent from a landlord? If so, your lease may require you to cover your landlord under your general liability policy as an additional insured. 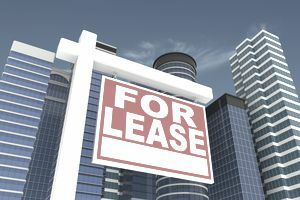 When a property owner leases all or a portion of a building to a tenant, the property owner bears a risk that someone could be injured on the rented property while visiting the tenant. If the injured party sues the property owner, the landlord (or its insurer) might be liable for damages. For example, Glen's Groceries operates a retail store in a building it leases from ABC Properties. If a shopper is injured on the store's premises, he or she might sue Glen's Groceries, ABC Properties or both for negligence. ABC wants to protect itself against claims or suits that might arise from Glen's operation or maintenance of the grocery store. To that end, ABC Properties has included specific provisions regarding insurance in the lease that Glen signed. The lease requires Glen's Groceries to purchase a general liability policy that lists ABC Properties as an additional insured. Before signing a commercial lease, check to see if it contains requirements regarding liability insurance. Typically, a landlord will require you to purchase a general liability (also called public liability) policy. The lease may require you to buy a specific limit (such as $1 million per occurrence) and to cover the landlord as an additional insured. The lease may specify certain coverages your policy must include. Your agent or broker can help you determine whether the required coverages are included in your policy. Some leases may contain conditions that are difficult to satisfy. For instance, the lease may require that your insurer to notify your landlord 30 days in advance if your policy is cancelled. Some insurers will agree to send cancellation notices to additional insureds, but many will not. If a specific lease provision cannot be satisfied, your landlord may be willing to compromise. For instance, it may agree to accept a cancellation notice from you rather than your insurer. Commercial leases are written by lawyers, not insurance professionals. Thus, they often contain inappropriate terminology. For instance, lawyers often use the term personal injury to refer to physical injury to a person's body. Under a liability policy, physical injury is called bodily injury. Also, leases may include outdated terms like blanket contractual liability or broad form property damage liability. In years past, these coverages were provided via endorsements. Nowadays, they are included in the standard liability policy. To cover a landlord under your liability policy, an endorsement will likely be needed. The endorsements used to cover landlords as additional insureds vary from one insurer to another. Many limit coverage to the landlord described in the endorsement. Thus, a separate endorsement must be used for each landlord. A typical endorsement includes a "schedule" that identifies the building or part thereof that you have leased. It is important to make sure that your rented premises is described accurately. If the rented property is misidentified, a claim against the landlord might not be covered. The endorsement must also accurately list the name of your landlord. For example, suppose your landlord's name is Bill Smith. However, your lease lists your landlord's name as Smith Properties Inc., which is the company Bill owns. The additional insured endorsement should list Smith Properties Inc. as the additional insured. Some liability policies afford automatic coverage for lessors of premises leased to you. Landlords may be covered automatically via the "who is an insured" section of your policy. Alternatively, they may be covered by an endorsement that contains blanket wording. Automatic coverage has several advantages. First, any landlord of yours that meets the description in the policy is covered without being specifically listed. Secondly, coverage for landlords is already factored into your policy premium. If you rent additional properties, your landlords should be covered for no additional charge. Virtually all additional insured endorsements used to cover landlords contain limitations. For instance, the standard ISO endorsement limits coverage to the person or organization listed in the endorsement. The landlord is covered only for his or her liability for the ownership, maintenance or use of the premises (or part thereof) that is leased to you and described in the endorsement. For example, suppose that ABC Properties (in the opening scenario) is sued by a customer of Glen's Groceries. The customer was injured when she tripped over a loose threshold while entering the store. Her suit claims that ABC Properties is liable for her injury because it failed to properly maintain the building. The suit arose out of maintenance of the building leased to Glen's Grocery. Assuming the building is properly described in the endorsement, the lawsuit should be covered by Glen's liability policy. Endorsements covering landlords as additional insureds typically exclude accidents that occur after you cease to be a tenant in the premises. They also exclude claims arising out of new construction, demolition or structural alterations performed by the landlord on the leased premises. For example, suppose that ABC Properties hires a contractor to build an addition to the grocery store. ABC will have to rely on its own liability policy (not Glen's Groceries' policy) to protect itself against claims arising out of the construction operations. Finally, some additional insured endorsements afford no broader coverage, or greater limits, for a landlord than you are obligated to provide under the contract. In other words, if the contract terms require less coverage for the landlord than is provided by the policy, the contract terms will apply. For example, suppose your lease requires you to insure your landlord at a limit of $500,000. If a claim is filed against the landlord and your policy provides a $1 million limit, the suit against the landlord will be subject to the $500,000 limit (the limit required by the contract).